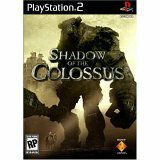 I’ve been wanting to play Shadow of the Colossus for a while now. Mainly because of the rave reviews that it’s had. Tell you the truth, it’s really fun, but it’s not as awesome as I would like. Controls: The controls for this game are pretty well suited for what you need to do. The right joystick controls the camera while the other controls movement. Typical button settings. Playability: Most of the game is pretty playable. The advanced horse controls is supposed to be difficult, but anyone that has played a number of RPGs on the PS2 should have no issues with this. Overall: This game has some interesting things about it. The camera for instance is always on, so you can always spin around your character and zoom in and out of scenes… any scene. What’s interesting is that the videos are created from the in-game graphics so even when there is a scene there, you can move your camera around. That makes for a very interactive game…. sort of. Between finding a Colossus to slay, there is the vast landscape that you get to travel in. Since all of this is relative sizes, it’s interesting that there’s pretty much nothing to do between you and the Colossus. That makes it rather boring between games when you’re chasing a lit sword to find your next victim. The relative size issue is really great concept since this makes the beasts gigantic compared to your little main character. So thus, playing off of his strong suites of climbing, holding on… and hiding, play into every bit of taking down each Colossus. The graphics and music are spectacular, but there could have been more between scenes. Most of the time was wasted in looking for some big giant shelled creature that you would think there were other animals or something around. Anything. But there’s only the lizards that give you health running around outside of the big dudes. Ick. I probably love it for the scale, but hate it for the middle parts.